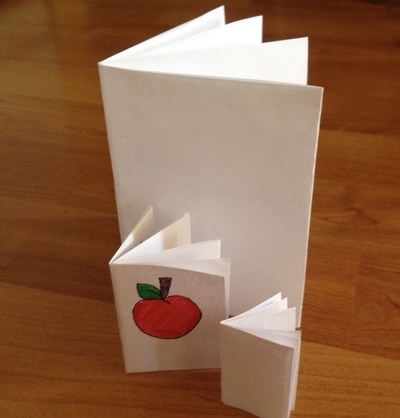 One piece of paper can become a mini book for your child to illustrate. 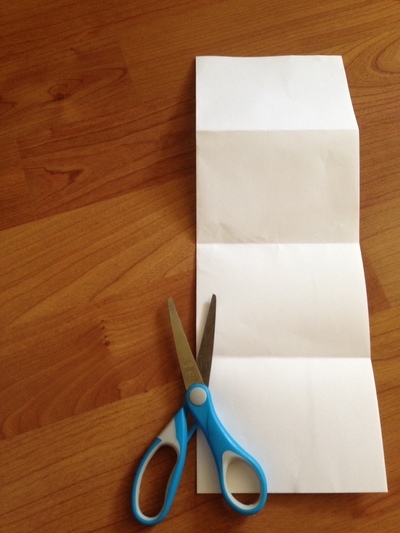 Fold the paper in half length wise, press the crease. 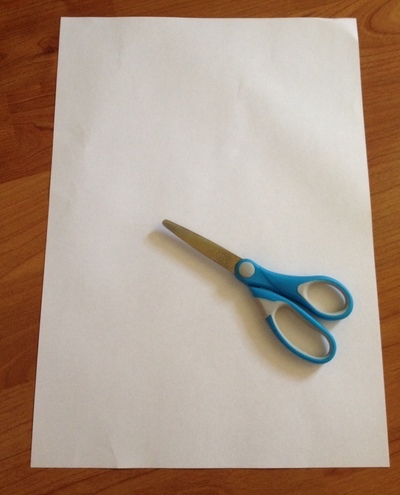 Fold the top of the paper to the bottom, press the crease. 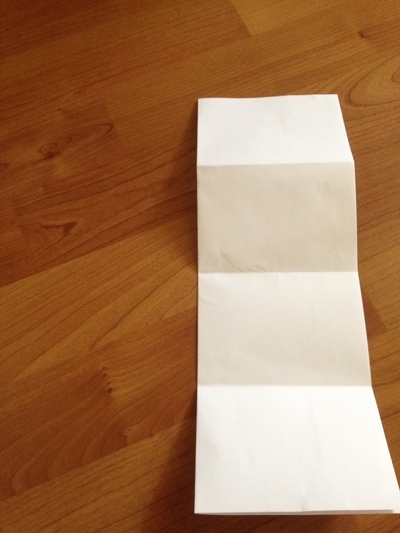 Fold the top of the paper to the bottom once more, press the crease. 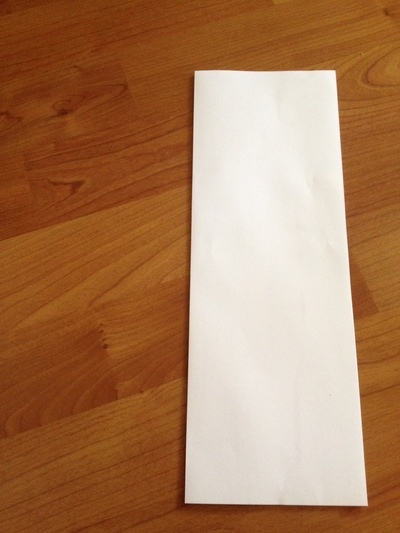 Onfold the paper back upwards. 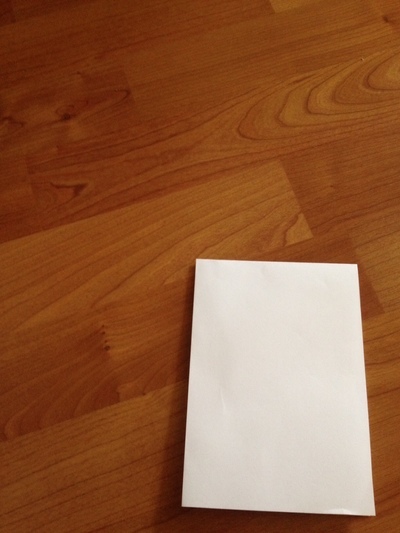 Leaving it as a folded rectangle, with three clear crease lines showing. Carefully cut along the edge of the fold, from the third crease to the first crease. Semi-open the paper, with the hole facing you. Manipulate the direction to the creases by pressing them again, this time turning the page into an X shape. 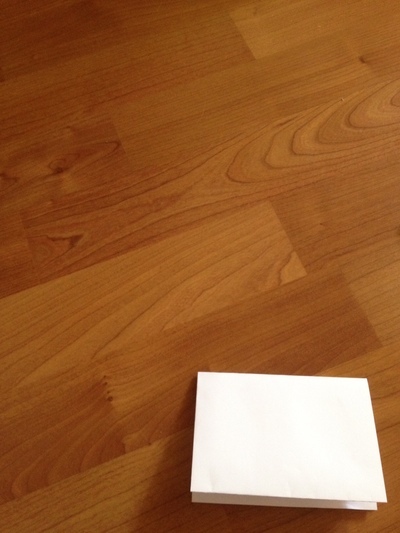 Fold the X shape into a book shape. Press the crease. Experiment with different sizes of paper. Why not make some little books for dolls to read in their doll house, or for elves and fairies to read in the garden?